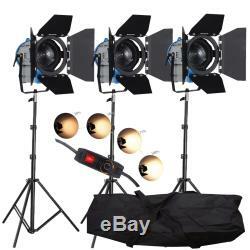 Package includes: Fresnel 300 watts lamp head with dimmer built in x3 Set of 4 leaf barndoor x 3 Yoke bar with 16mm spigot mount x 3 Power cord with in-line switch x 3 Free 300W halogen bulb x 3 2 meter quick release stand x 3 BagX1 Description 300watt Fresnel Light is ideal for use where compact, lightweight tungsten Fresnel spotlights are required, especially in small studios where grid height is a problem. 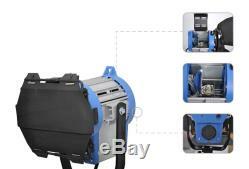 Constructed with corrosion-resistant, extruded, die cast aluminum, maximizing body strength while maintaining the light weight of a location fixture. 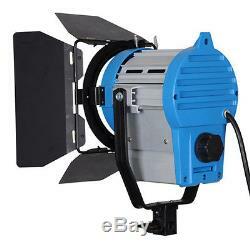 Despite thesmall size of Fresnels, their short focal length, wide angle lenses produce impressive light output and good light distribution over the full beam area. 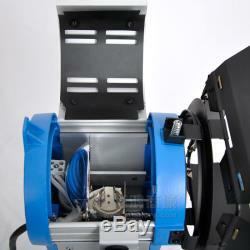 Fresnels are available in both manual and pole-operated versions. 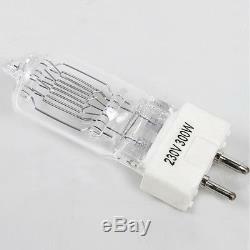 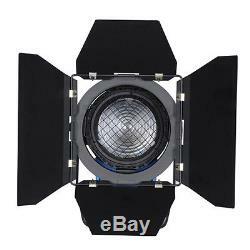 Technical Specifications: source type: Tungsten with Fresnel lens power: 300 watts voltage: 100 - 250V color temperature: 3200K bulb socket: GY9.5 Fresnel lens diameter: 80mm Filter socket diameter: 130mm barndoors socket diameter: 130mm Illumination angle spot°/flood° 12 / 55 mount: receiver for spigot 16mm (5/8 receiver) power cord: 3.5m with in-line switch protection class: IP22, CE & RoHS material: aluminum color: blue/gray product weight: 2.67 kg package weight: 2.87 kg. 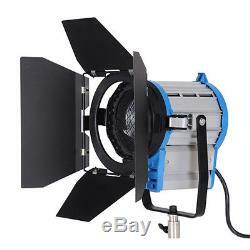 The item "3X300W DIMMABLE FRESNEL TUNGSTEN SPOTLIGHT LIGHTING STUDIO VIDEO BARNDOOR BAG BU" is in sale since Tuesday, February 20, 2018.